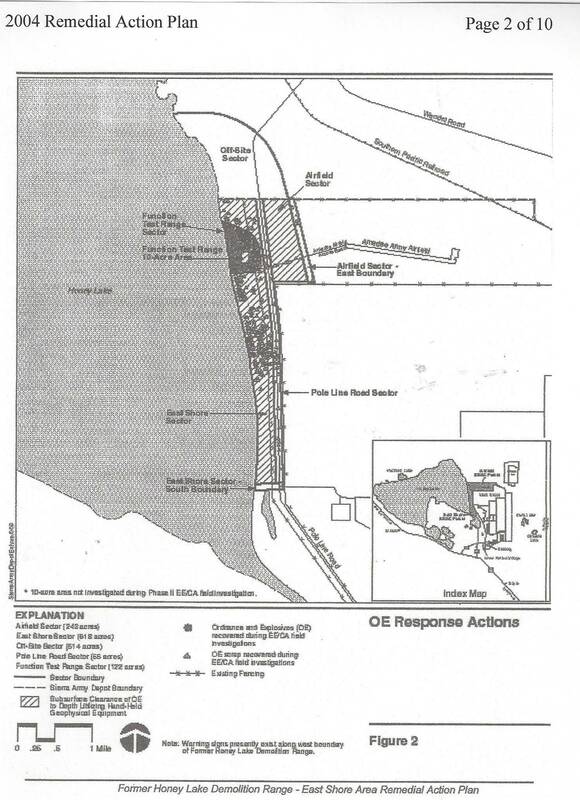 The value of the 3576 Acres had been assessed at $521,000 after the land was sold to a private party. 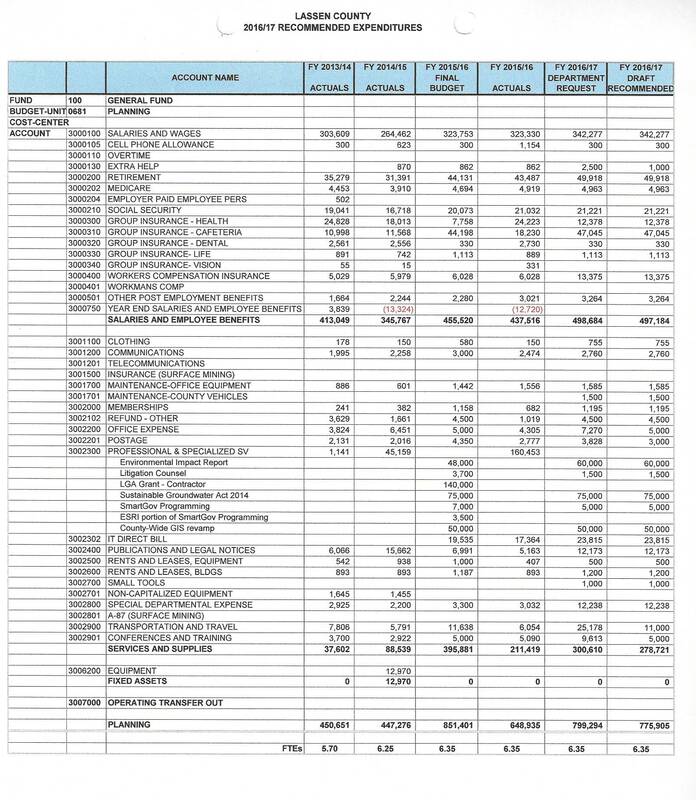 The Assessment Appeals Board reduced the value to $393,277. 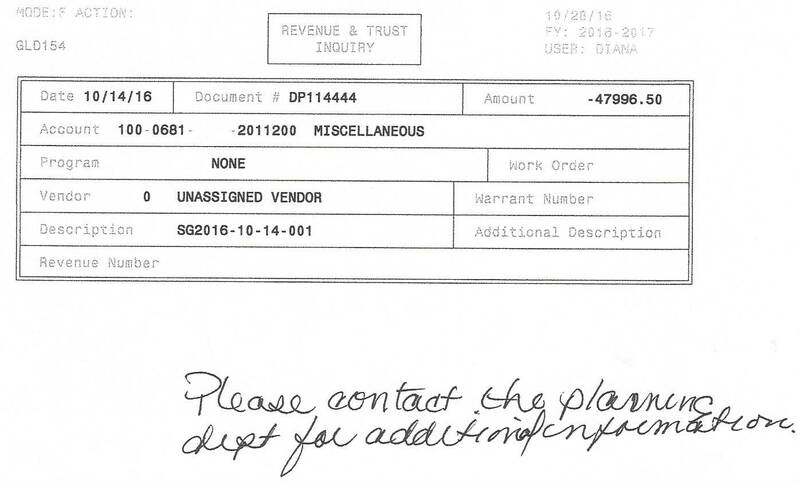 KSUE/JDX radio host, Chris Montgomery was asked if he was video tapping for the radio and he replied "NO"
According to the Lassen County Auditor HSP has not paid this $47,996.50 invoice that was due on September 11. 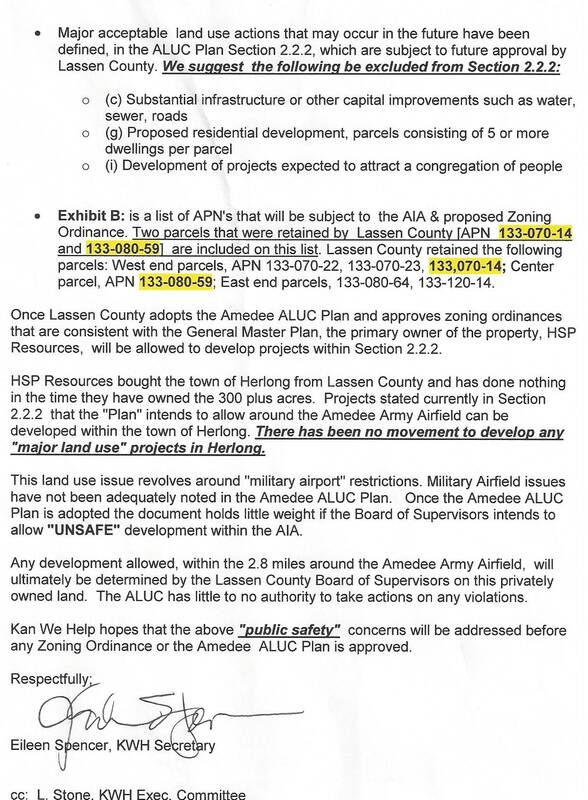 Will the County place a tax lien on the Amedee Parcels ? 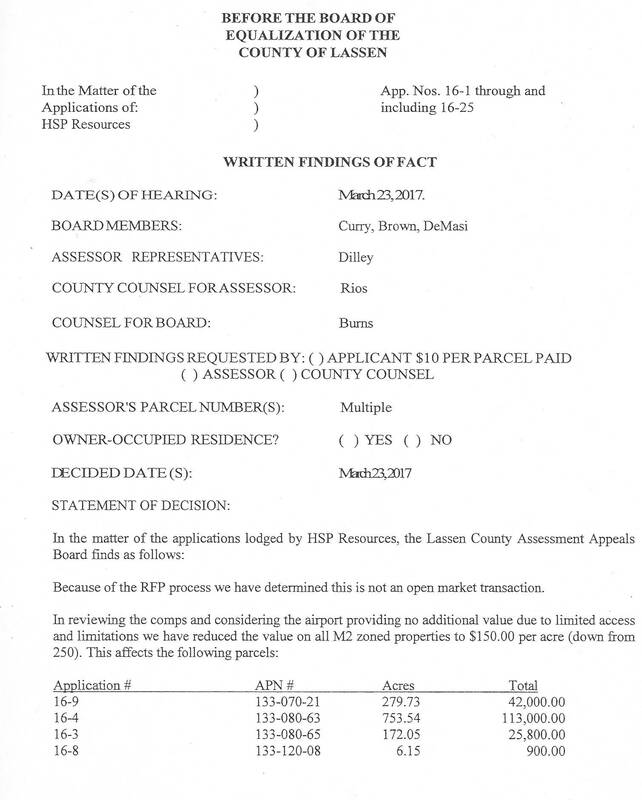 There were higher bids, for this contaminated property, but the Supervisors gave the 3,000 plus acres of public land to Hal Hays, Larry Smith & Steve Pezzullo (HSP Resources) because they offered to pay for the Airport Land Use Plan. 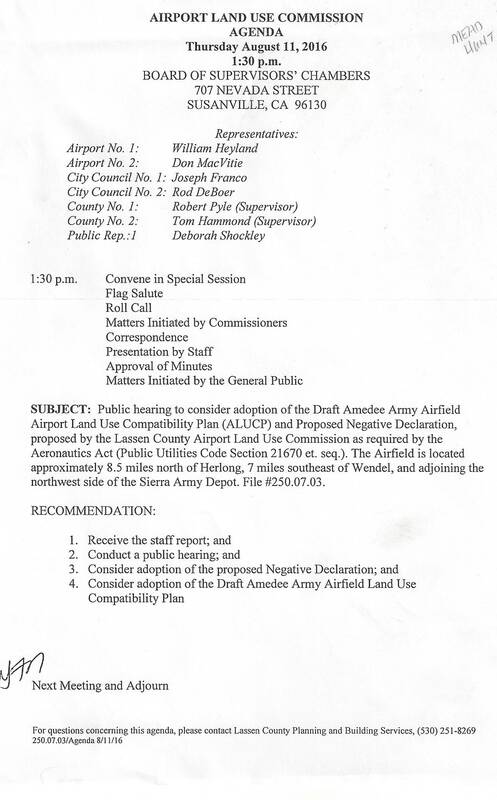 Lassen County Owns the Amedee Army Airfield but the Army has a 50 year lease with an option to an additional 50 years.
" 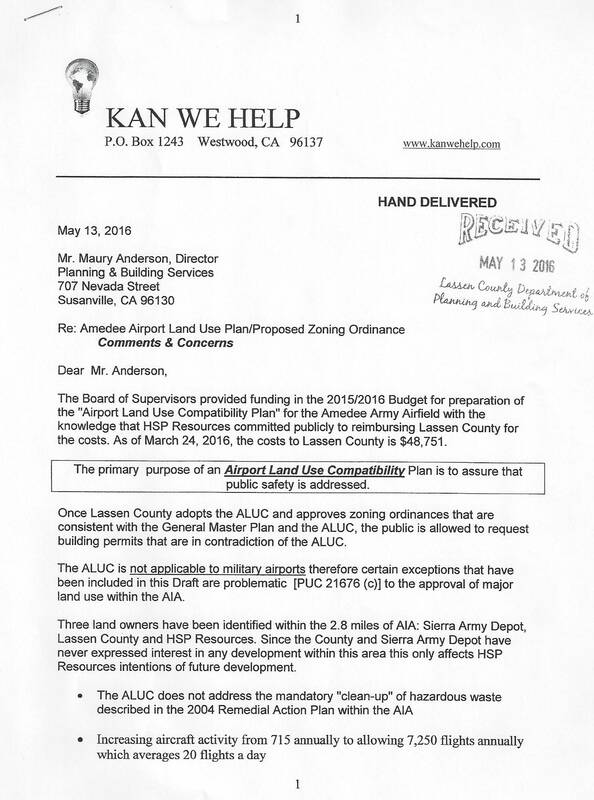 SIAD's Public Affairs Officer, Ms. Lori McDonald, reiterated to the HSP Resources representative that the US Army could not enter into a separate partnership at the airfield with any organization"
Kan We Help prevented the County from including the East end of the runway. Pyle discussing business with Larry Smith. Supervisor Bob Pyle did not recuse himself. Steve Pezzullo attempted to cover his face. 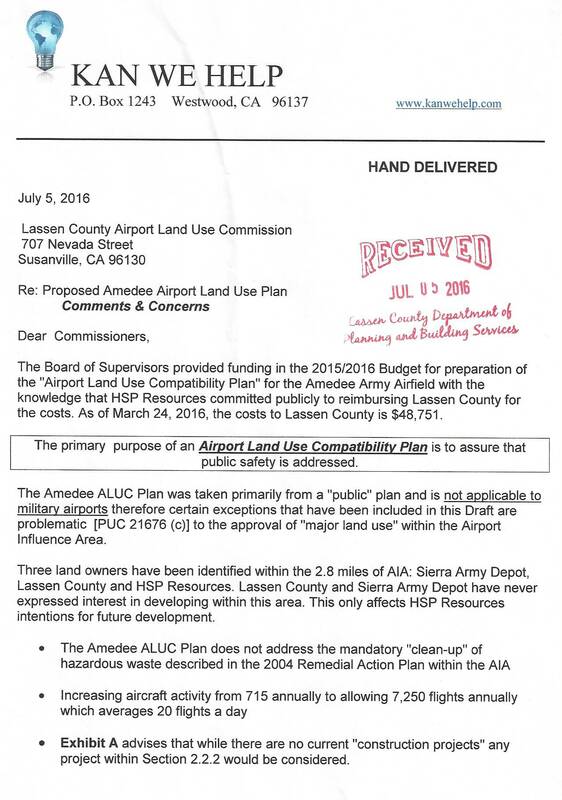 Lassen County Owns the Amedee Army Airfield but the Army has a 50 year lease with an option to an additional 50 years. The US Army TACOM, in Warren, Michigan, decides who lands at this Airfield not the Sierra Army Depot Commander. 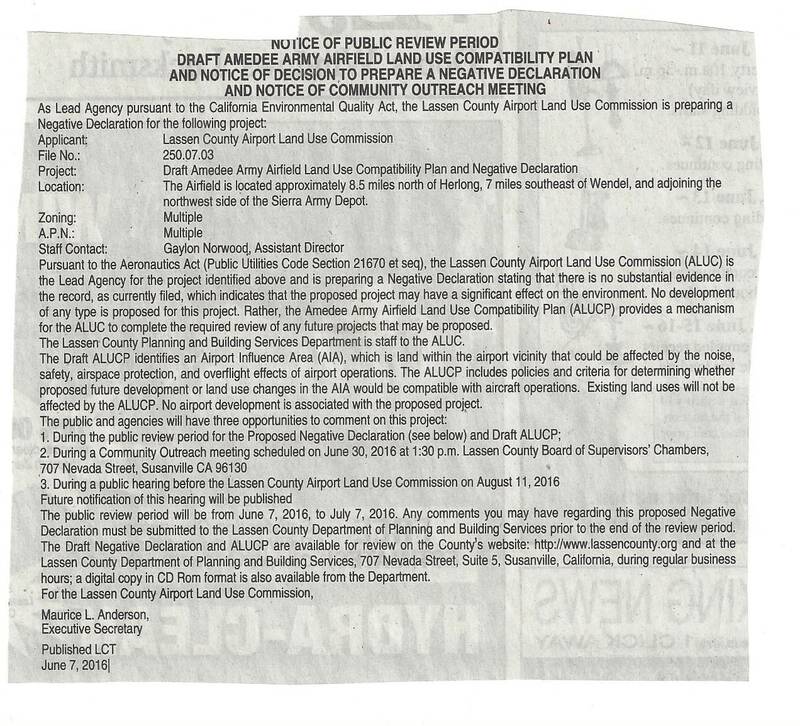 Lassen County Planning Department Staff member Gaylon Norwood called the two Lassen County Supervisors on this Commission, District 1 Supervisor Bob Pyle and District 5 Supervisor Tom Hammond. Norwood was unable to reach Supervisor Pyle. When Supervisor Hammond was reached he claimed that he had forgotten about the meeting. 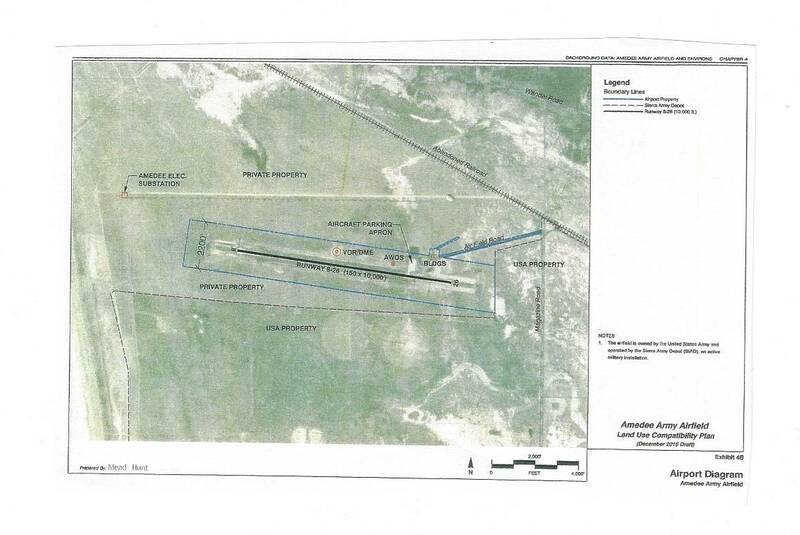 The "public comment" period for the Amedee Army Airport Land Use Plan ends on July 7, 2016. Supervisor Hammond showed up at 2:15 PM and the meeting was convened. Kan We Help Secretary Eileen Spencer asked the Commissioners to look at Section 2.2.2 This section would allow major land uses such as residential development (2.2.2 (g)) within the 2.8 mile Area of Influence of the Commission. 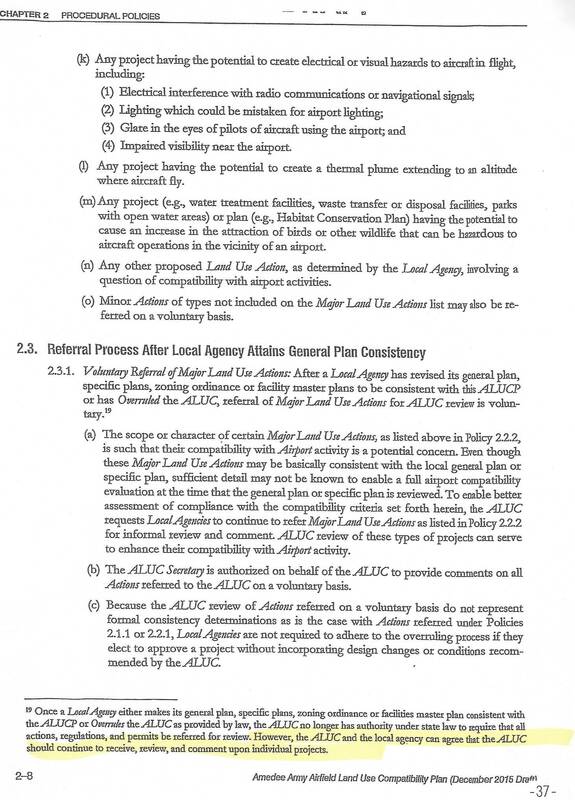 Any of the actions listed in Section 2.2.2 would need to be reviewed by the ALUC, however Supervisor Hammond asked that Section 2.3 be removed in its' entirety. 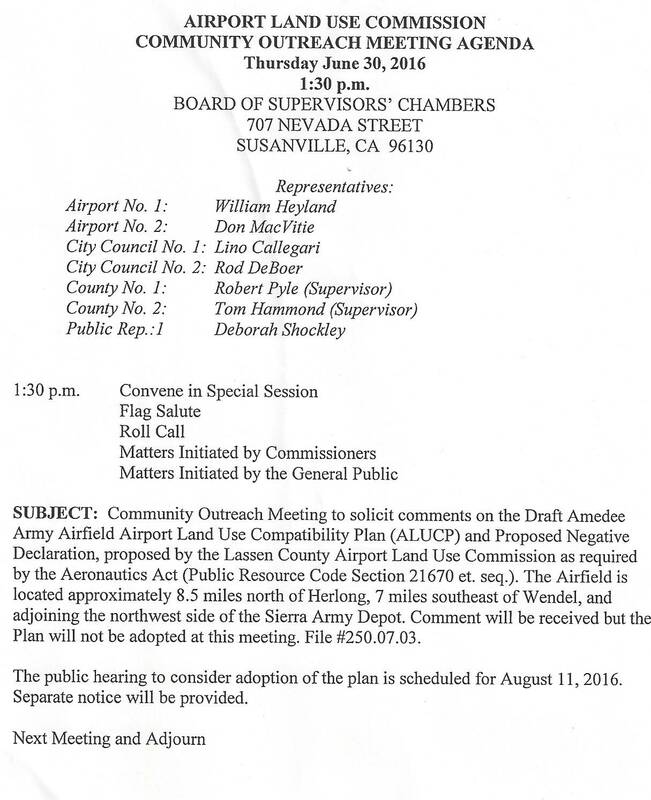 Sierra Army Depot representatives were present and told the Commissioners that they would be open to sharing the Army's airfield. Of course this was a total lie. 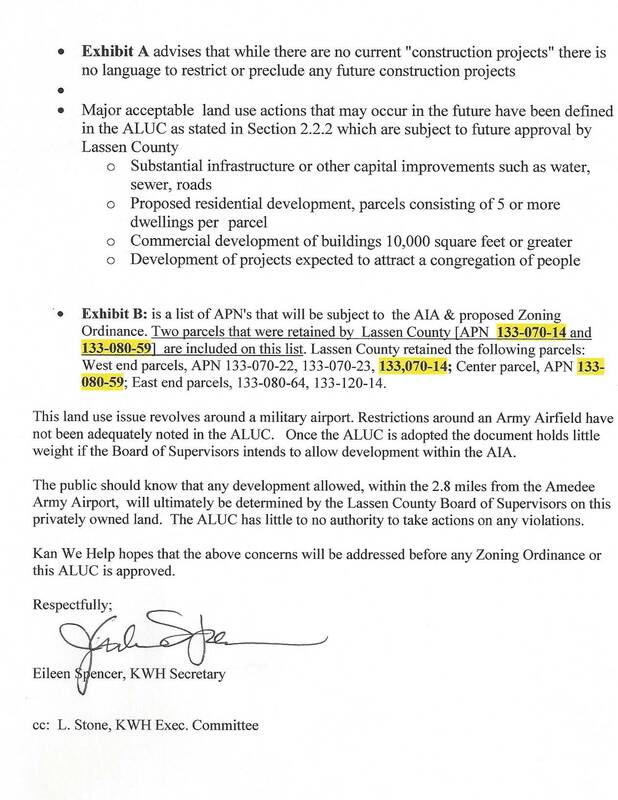 The Lassen County Supervisors attempted to include the East end of the Army's airfield in the RFP but was stopped when Kan We Help objected to this. 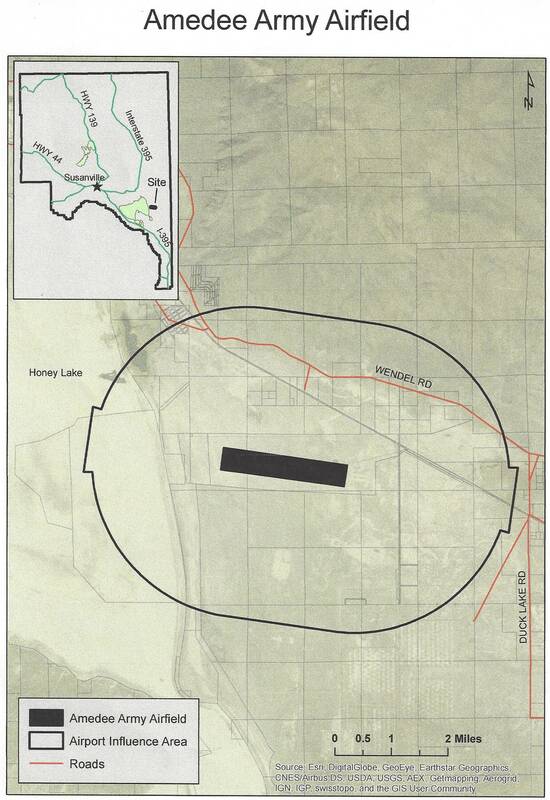 Lassen County was given the Army's Airfield and the surrounding land in the 2002 Agreement with Lassen County with the stipulation that the Army would have a 50 year lease with the County. 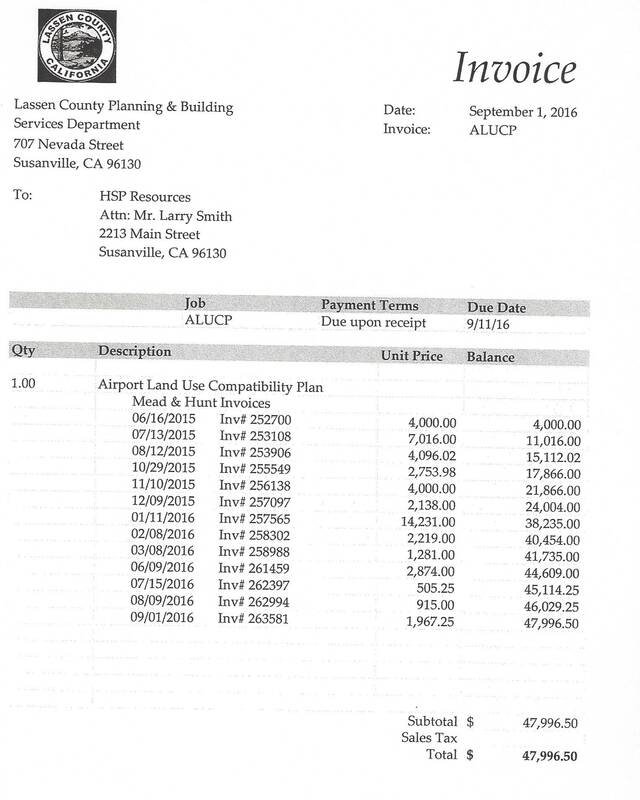 If the County sold the airfield they could assign their lease to Pezzullo. 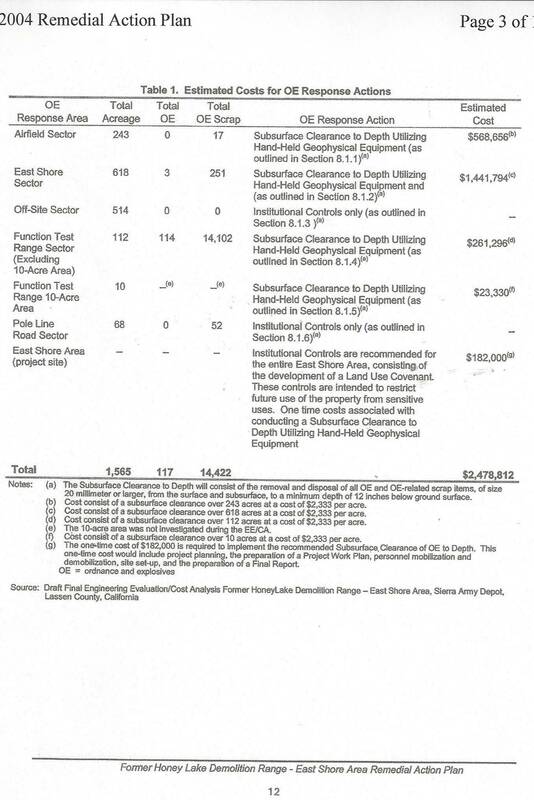 The two Sierra Army Depot representatives below met secretly with Steve Pezzullo and Supervisor Hammond during the "public bidding" process for the Amedee Parcels. 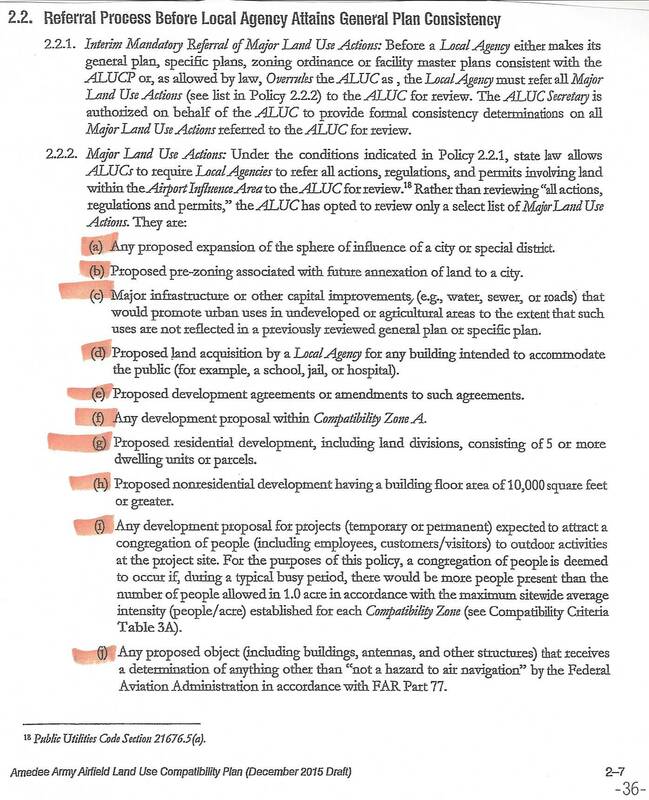 Steve Pezzullo included these meetings in his proposal to falsely state that he could use the Army's Airfield for any business that he would develop next to the airstrip. This isn't the first time Pezzullo has bought his way and it won't be the last . The Supervisors attempted to give Pezzullo the East end of the Airfield but Kan We Help stopped this. 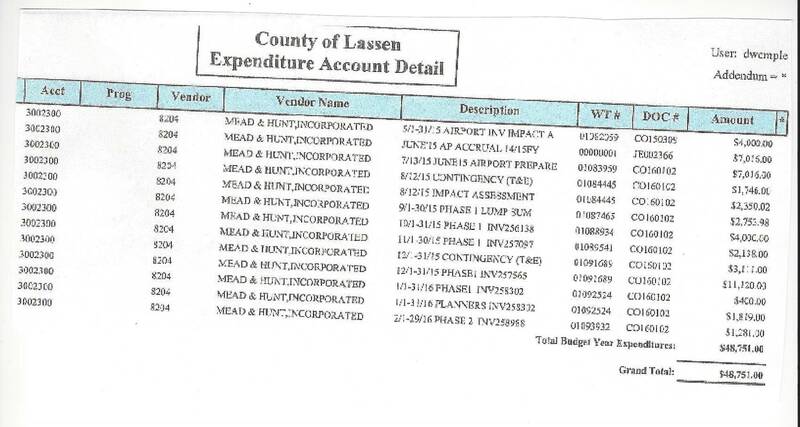 The Lassen County Supervisors sold over 3,000 acres surrounding the Amedee Army Airfield to Hal Hays, Larry Smith and Steve Pezzullo (aka HSP Resources) on February 17, 2015 for $25,000. 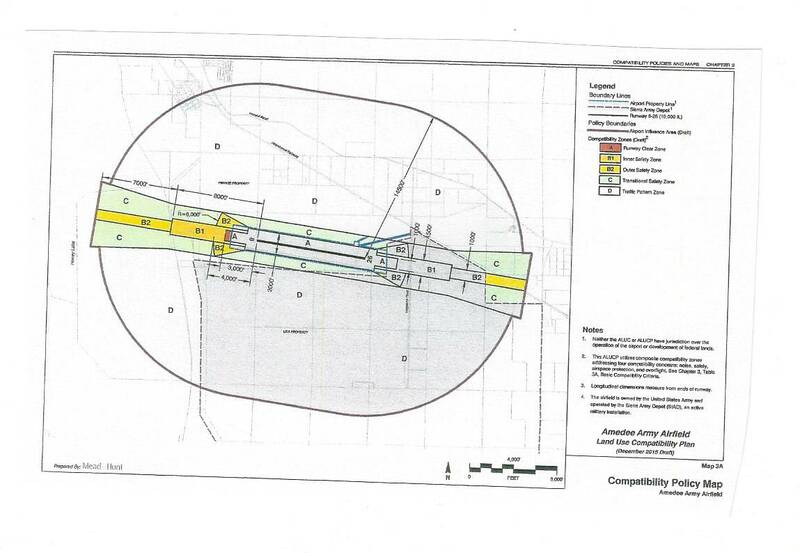 The Lassen County Supervisors attempted to include the East end of the Army's Airfield by making APN 133-080-60 a wrap around parcel. The Supervisors hoped that no one would notice what they had done. 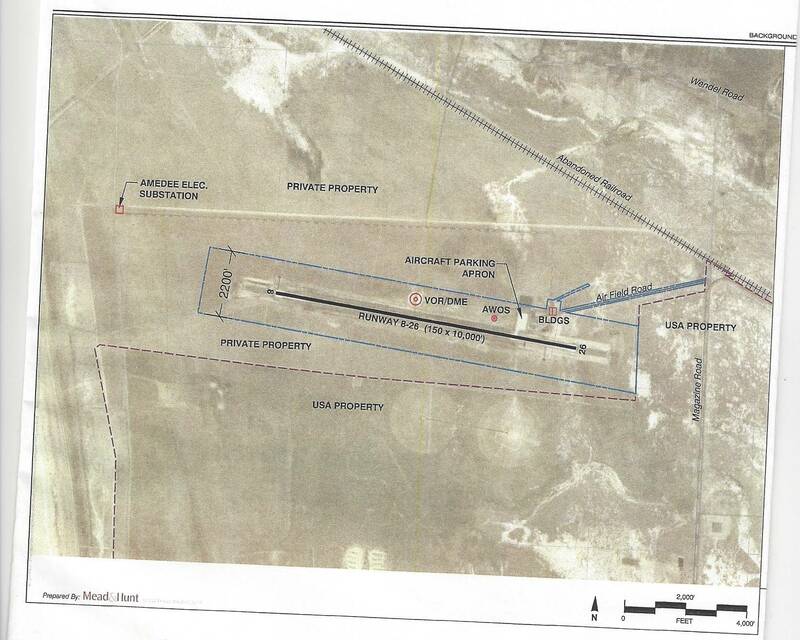 Kan We Help caught this and the East end airport parcel was not included in the sale to HSP Resources. This deception was caught but it resulted in retaliation by Steve Pezzullo. 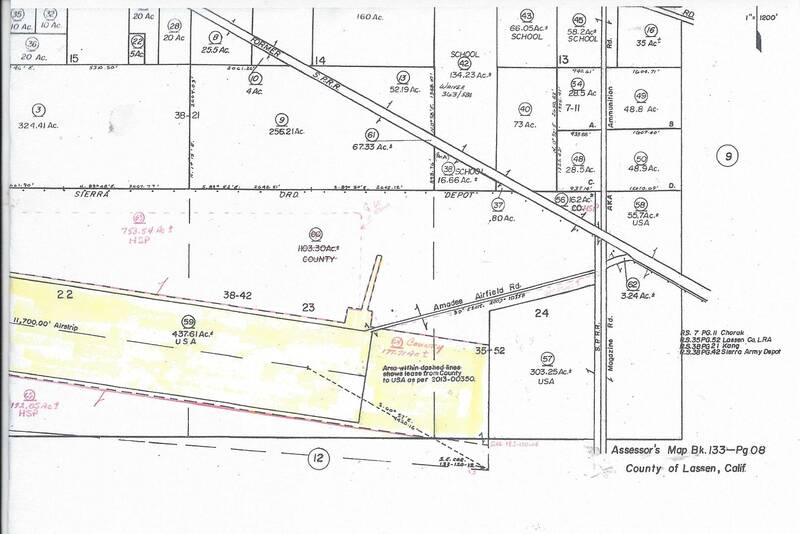 False claims were filed against the Assessor and Lassen County lost the Surveyor that divided the East end airfield parcels that excluded them from the sale to HSP Resources. 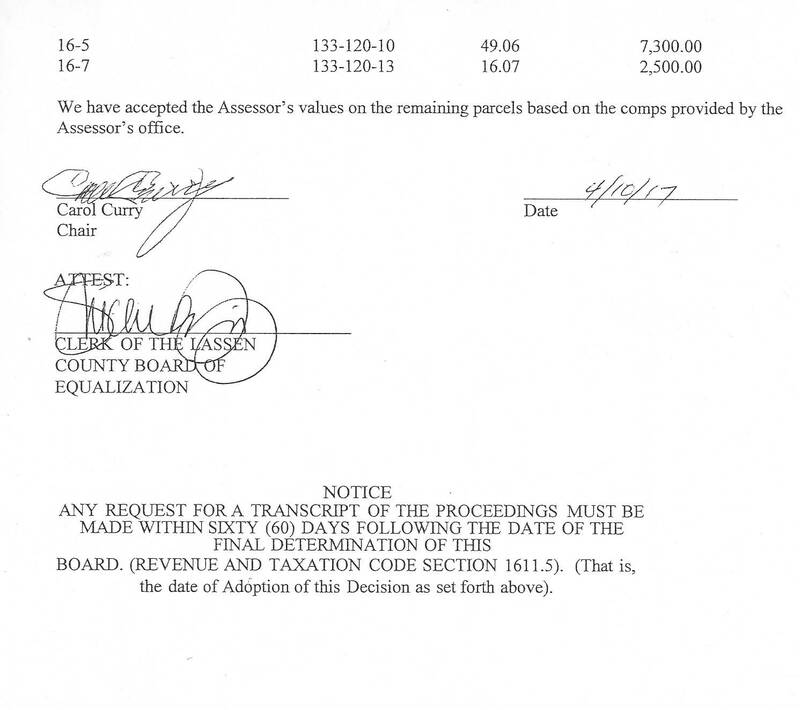 The Lassen County Supervisors stated publicly that they would retain five parcels (APN West parcels133-070-22, 133-070-23; Center parcel 133-080-59; East Airfield parcel 133-080-60 newly divided 133-080-64, 133-120-14)which included the East End Airport parcel. But like the "One Stop" in Herlong, they secretly included it in the sale and were caught.